Dublin has a special place in my heart. I have visited twice before, but both times were quite some time ago now. There are plans to visit again in the future, but it seems recently I have been part of conversations where people have been to Dublin, or we have been talking about our past trips. 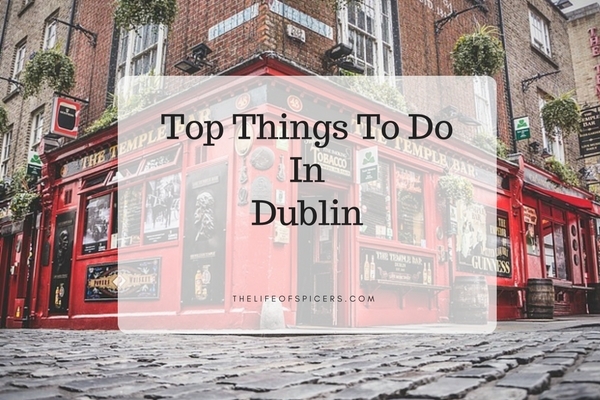 There are plenty of things to do in Dublin so I thought I would share some of my favourites. The open top city sightseeing tour is a great way to see Dublin. You can hop on and off as and when you want along the route. We managed to make a whole day of sightseeing using the bus, even if it was a little chilly sitting on the top deck. It even stops right near the Guinness Storehouse which is very convenient. 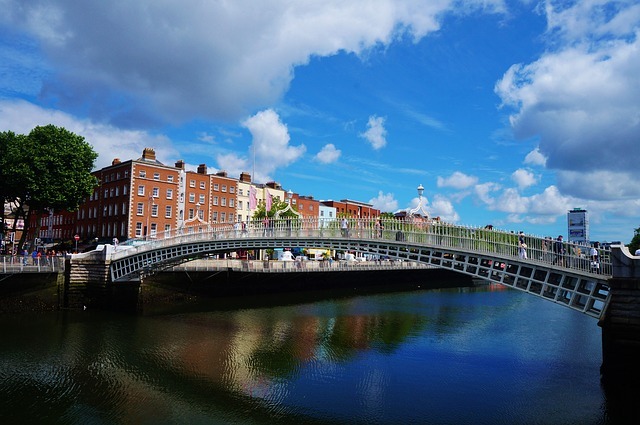 Other top attractions along the route include Dublin Zoo and the Botanic Gardens. A visit to Dublin would not be complete without trying some Guinness. We made a slight mistake when visiting the Storehouse, as we went on a Sunday morning after a heavy Saturday night out. It may be wise to visit when you aren’t a little worse for wear as all of the steps inside the Guinness Storehouse realm wore us out.You can read more about the Guinness Storehouse here. The Guinness Storehouse is laid out over seven floors, each with something amazing to look at including Guinness foods, how Guinness is made and so much more. Your ticket will also include a free pint of Guinness when you reach the seventh floor. On this floor is a huge bar area and amazing views of the city. A visit to Dublin really must include walking over the River Liffey. There are some amazing views over the large bridge from just outside of Temple Bar. The river supplies most of Dublin’s water supply. During our first visit to Dublin, we were staying in a hotel which saw us walking across the Bridget at least twice a day as we walked to and from Temple Bar. If whisky is more your thing, then you can find the hour-long Jameson whisky tour on Bow Street in Dublin. Your ticket includes a guided tour and a signature Jameson drink. If all things spooky are your thing then you can experience some of Dublin’s darker history. This guided tour by bus will take you to some of the weird and wonderful events of the past. A two-hour evening tour. 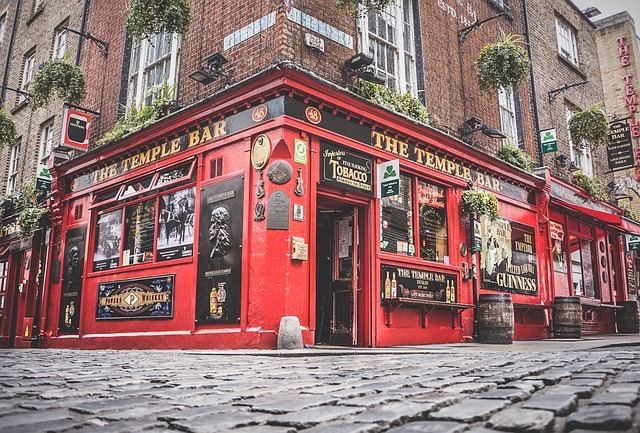 Temple Bar is found on the south bank of the river Liffey. It’s a hub for lively nightlife and if very popular with tourists. In the heart of Temple Bar is the Temple Bar pub, my favourite pub in Ireland that I have found so far. 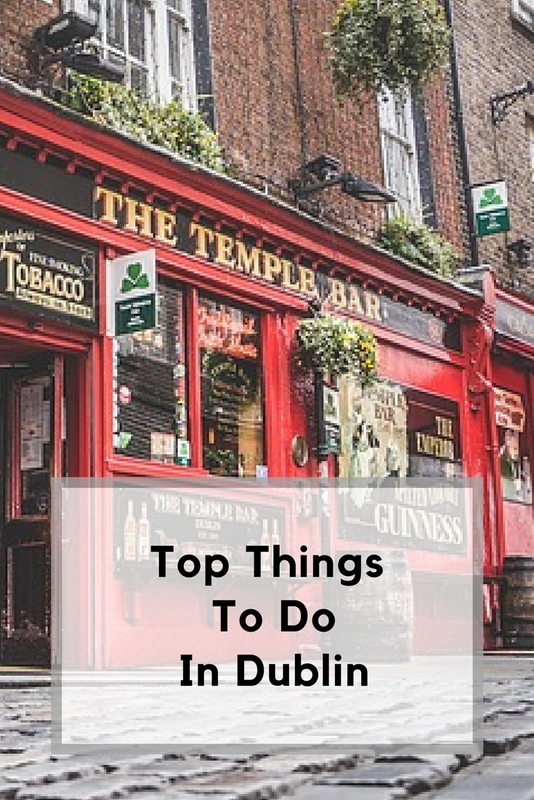 We have spent many a great night in the Temple Bar pub chatting to the locals and tourists alike, and I can’t wait to go back to visit again.